Is the Aussie in for more losses? After breaking below that short-term support area near the .9350 minor psychological level, AUD/USD appears to be aiming for the next support zone around the .9220 level. Stochastic is moving towards the oversold region, indicating that sellers might still have enough energy to push the pair lower. If you’re bullish on this one, you might want to wait for an actual test of the range bottom and for stochastic to cross out of the oversold area before going long. 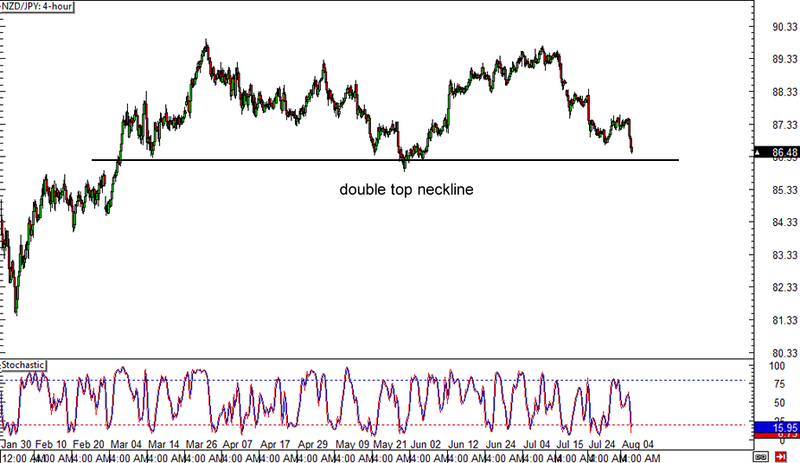 Looks like the double top neckline on NZD/JPY’s 4-hour forex chart is about to get tested! 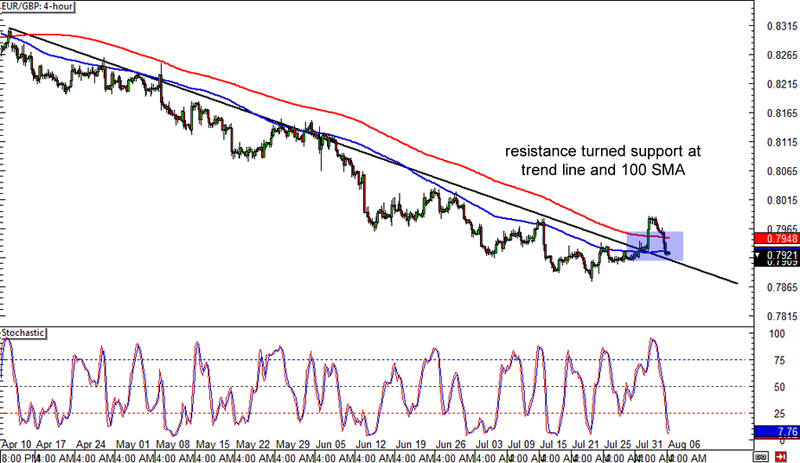 As you can see, this classic reversal chart pattern has formed after the pair found resistance near 90.00 and support at 86.50. A break below the neckline could mean that the pair might sell off by as much as 350 pips, which is the same height as the chart formation. On the other hand, a bounce could lead to the formation of a triple top, which is still a valid reversal pattern. Be careful when shorting since stochastic is almost in the oversold zone already! Remember that EUR/GBP trend line break I showed y’all earlier? Well, it looks like the pair is pulling back for a quick retest before heading further north. After rallying close to the .8000 mark, price has retreated back to the broken trend line and the 100 SMA, which might hold as support moving forward. 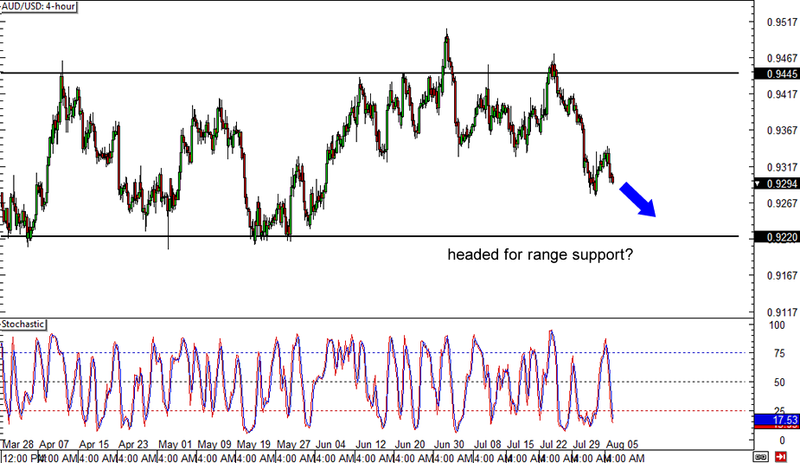 At the same time, stochastic is reflecting oversold conditions, which means that euro bulls could charge soon. But if pound bulls are more aggressive, EUR/GBP might find itself back below the trend line and SMAs again.